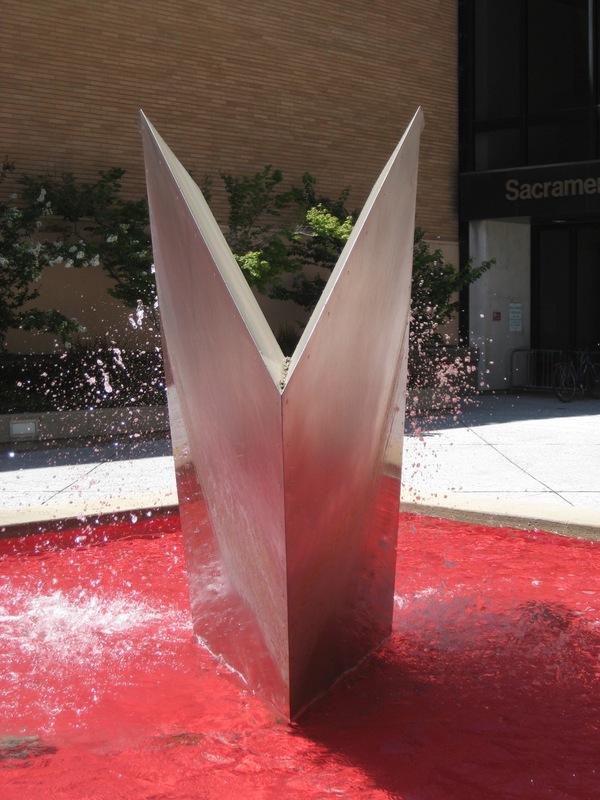 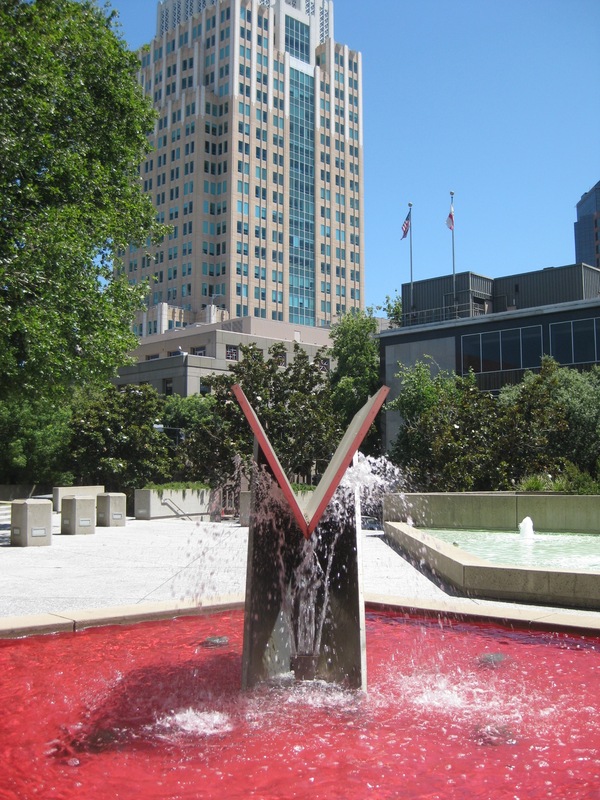 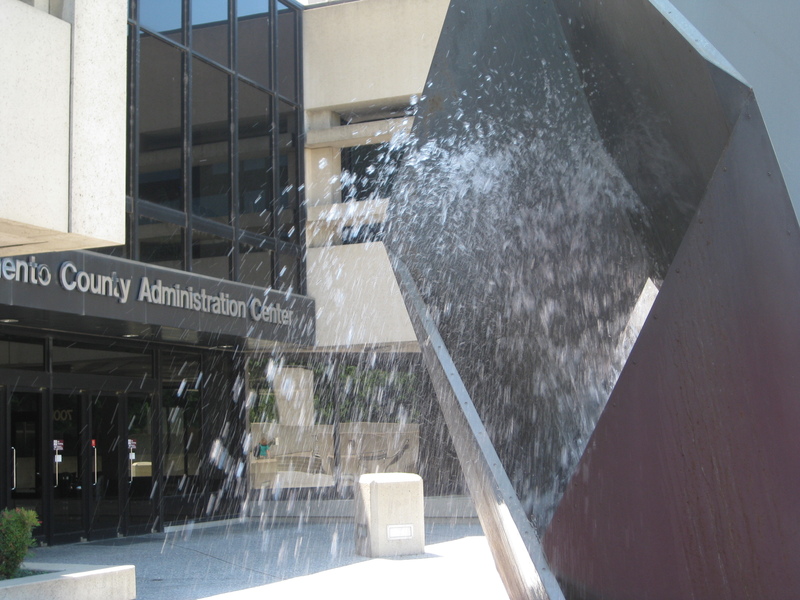 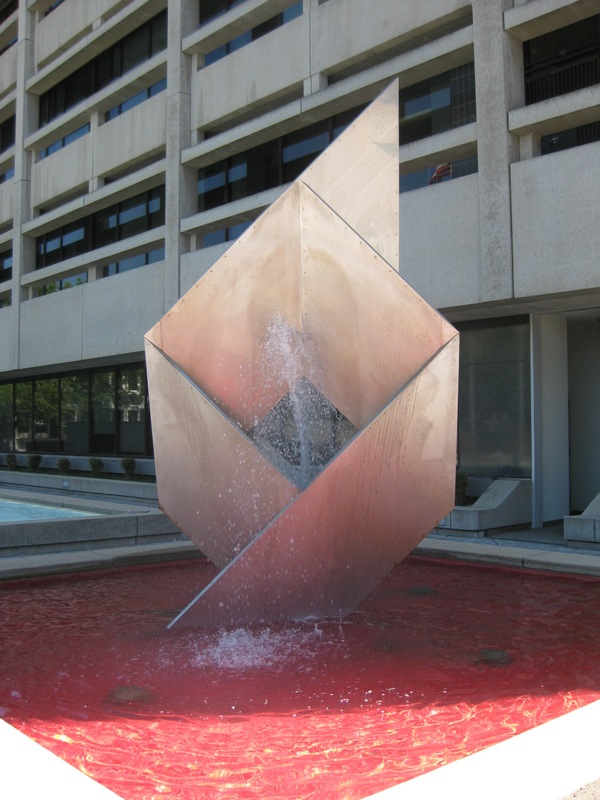 Modeled after Japanese origami forms, two very ’70s metal fountains with large burnt orange pools sit in the North and South plaza entrances to the Sacramento County Administration Building (1). 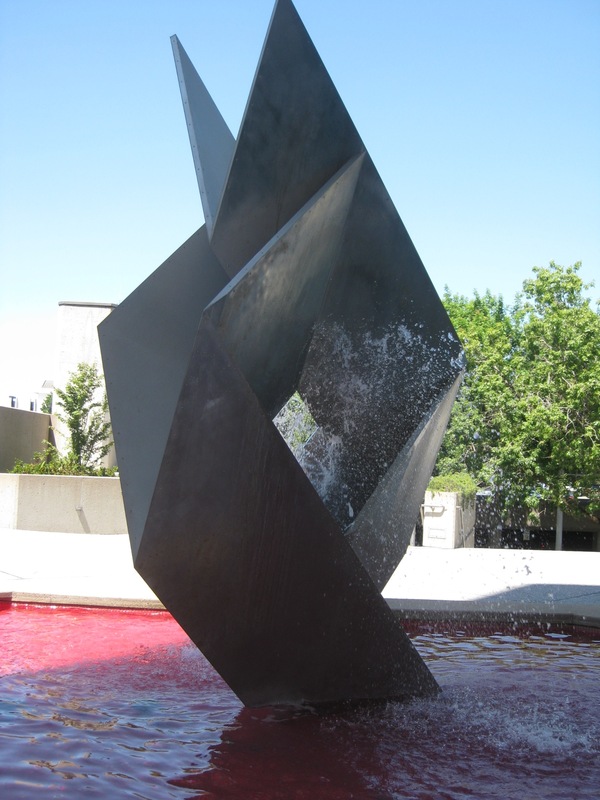 These fountains, and an interior wall sculpture of a similar design, were created by Seiji Shimizu in 1977. 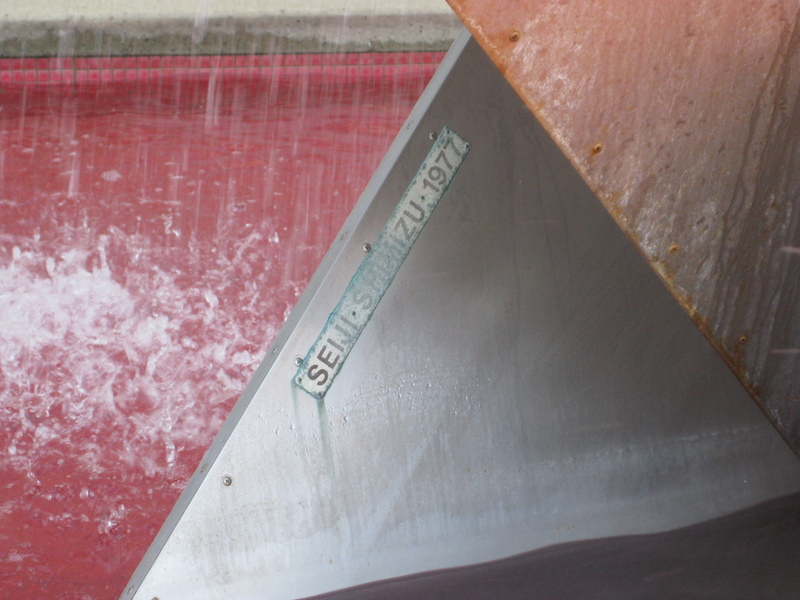 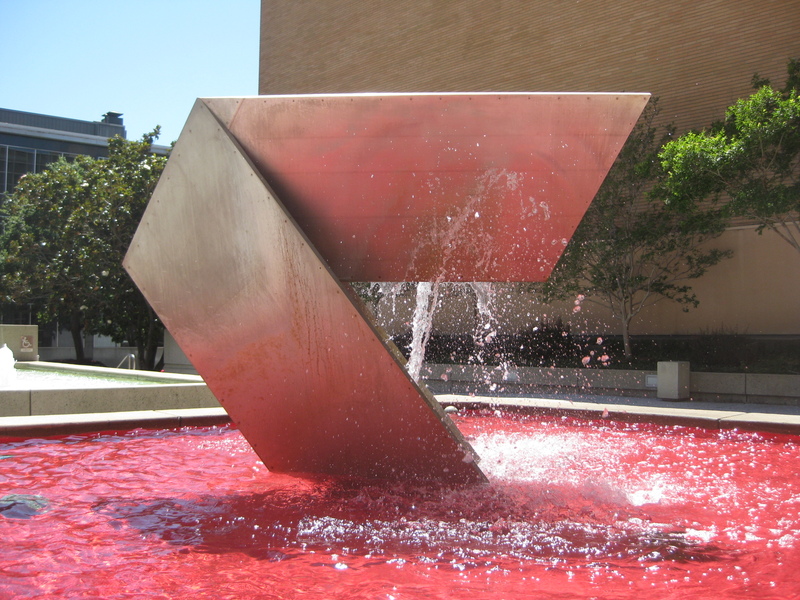 The south plaza fountain is the smaller of the two and measures 8 x 3 x 8 ft. 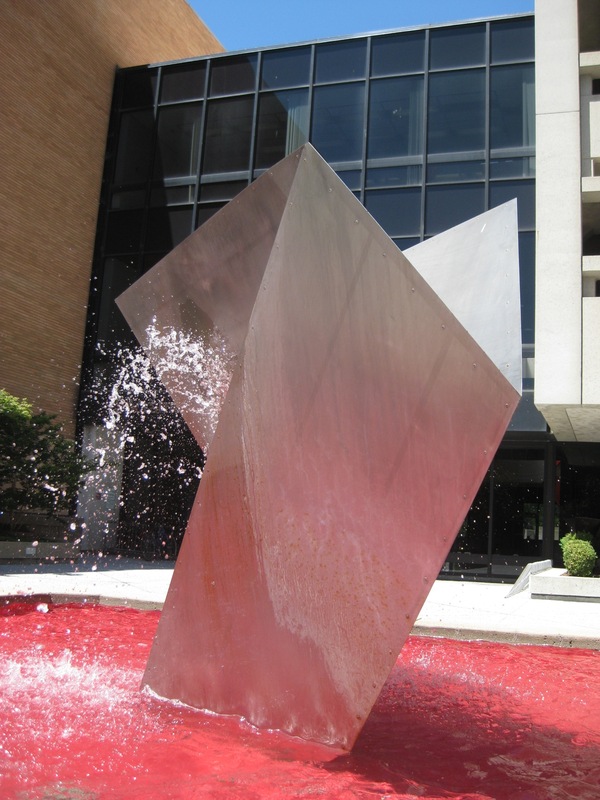 The north plaza fountain measures 12 x 3 x 6 ft.
Research turned up very little information about these fountains or Shimizu himself. 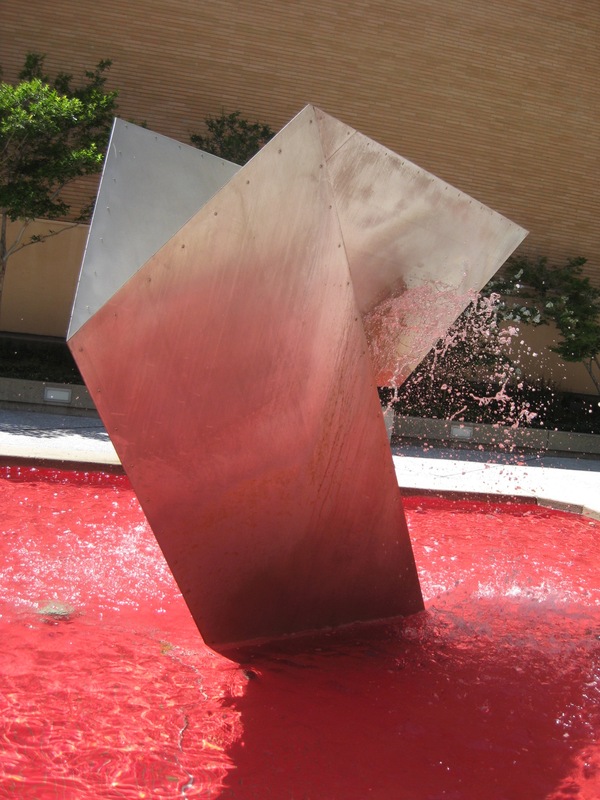 I did find references to two of his other works from Japan. 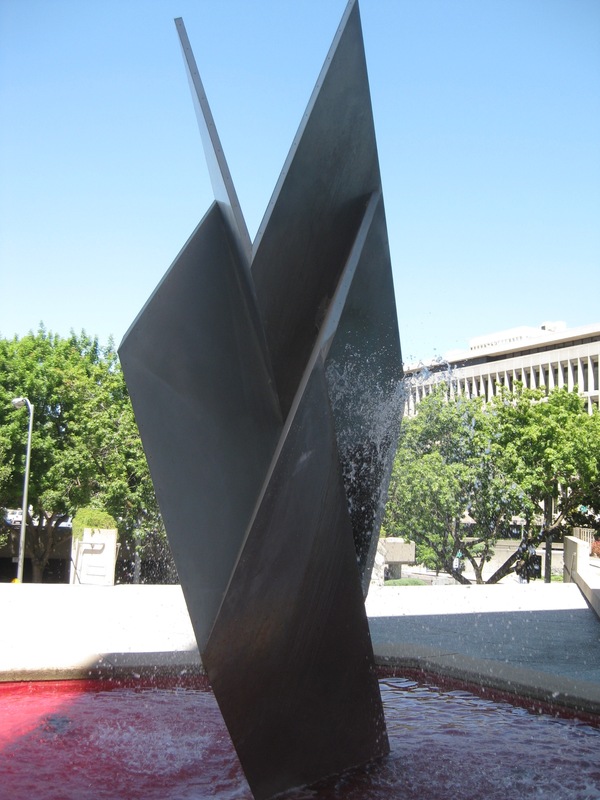 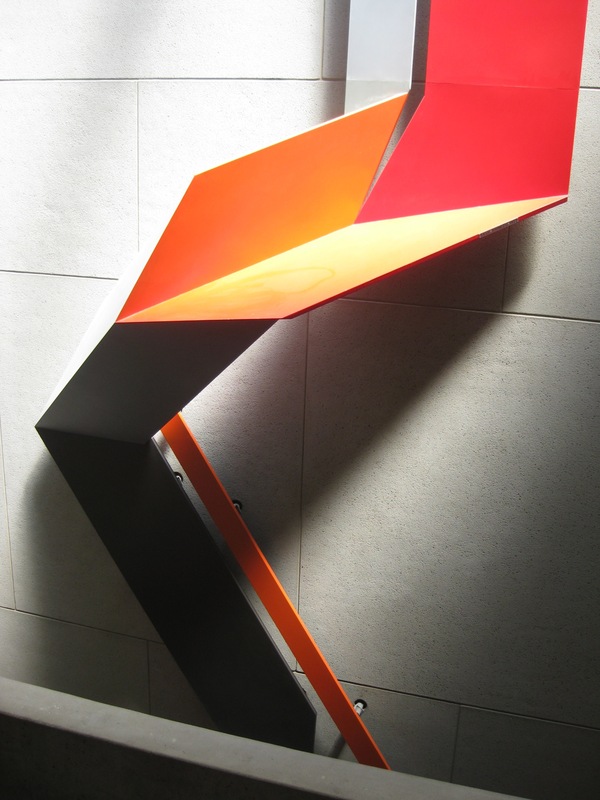 In 1962, he created a geometrical sculpture that hangs from a skylight at Numazu Culture Center (2). 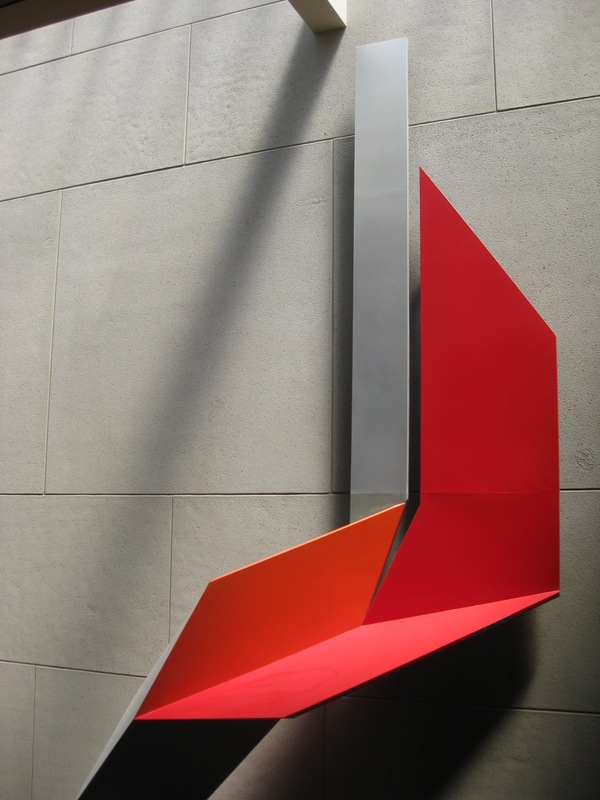 The wall sculpture inside the main lobby is too tall to capture in a single photo.